Expedia can help you save with a Mo-I-Rana vacation package. With all that extra money in the bank, you might even like to book a few more nights. Book your package today on Expedia and save up to C$590*! It's that simple! Our extensive global database allows you to search more than 321,000 properties worldwide and 400 partner airlines. With such a terrific range of options, creating your dream vacation will be a cinch! There are loads of awesome things you can do when you visit a new place. So why not get your trip to Mo-I-Rana off to a great start by taking a look at some of our suggestions? After all – out there starts here! Head into the wider Nordland region and get closer to nature with activities like snowboarding. Still have time on your hands? If you're eager for more, don't miss the chance to go skiing as well. Bodo Airport (BOO) is the entry point for most visitors heading on a trip to Mo-I-Rana. It's based 60 miles (97 km) from the center of town. Located in the heart of Mo-I-Rana, this hotel is within 1 mi (2 km) of Mo Church, Havmannen, and National Library (Nasjonalbiblioteket). Setergrotta Cave and Saltfjellet-Svartisen National Park are also within 25 mi (40 km). Mo i Rana Station is only a 4-minute walk. Located in the heart of Mo-I-Rana, this hotel is within 1 mi (2 km) of Mo Church, National Library (Nasjonalbiblioteket), and Havmannen. Setergrotta Cave and Saltfjellet-Svartisen National Park are also within 25 mi (40 km). Mo i Rana Station is only a 4-minute walk. Situated in a rural location, this hotel is within 6 mi (10 km) of Havmannen, Mo Church, and National Library (Nasjonalbiblioteket). Setergrotta Cave and Saltfjellet-Svartisen National Park are also within 25 mi (40 km). Located in the heart of Mo-I-Rana, this guesthouse is within 1 mi (2 km) of Mo Church, National Library (Nasjonalbiblioteket), and Havmannen. Setergrotta Cave and Saltfjellet-Svartisen National Park are also within 20 mi (32 km). Mo i Rana Station is 7 minutes by foot. 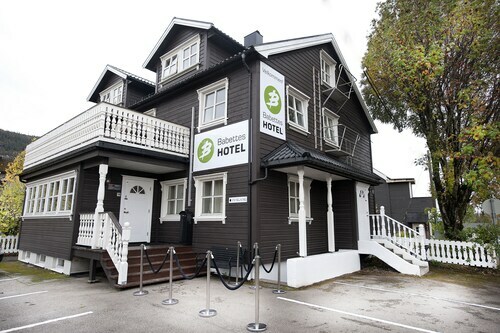 Located in the heart of Mo-I-Rana, this hotel is within a 15-minute walk of Mo Church and Havmannen. National Library (Nasjonalbiblioteket) is 1.2 mi (1.9 km) away. Mo i Rana Station is 9 minutes by foot. 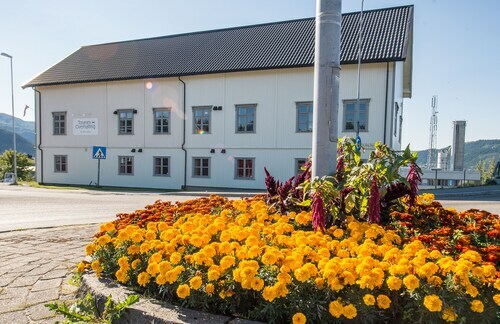 Located in the heart of Mo-I-Rana, this hotel is within a 15-minute walk of Mo Church and National Library (Nasjonalbiblioteket). Havmannen is 0.8 mi (1.2 km) away. Mo i Rana Station is only a 3-minute walk. 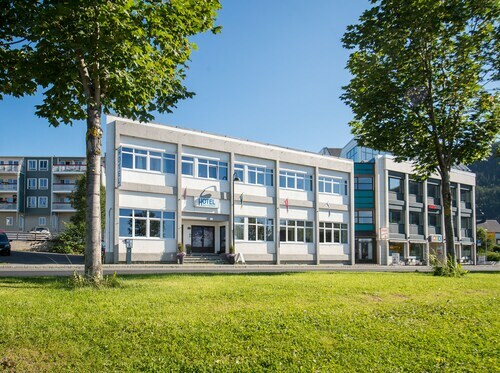 Located in the heart of Mo-I-Rana, this golf hotel is within 1 mi (2 km) of Mo Church, Havmannen, and National Library (Nasjonalbiblioteket). Setergrotta Cave and Saltfjellet-Svartisen National Park are also within 25 mi (40 km). Mo i Rana Station is 5 minutes by foot. Situated in Mo-I-Rana, this hotel is within a 15-minute walk of Havmannen and National Library (Nasjonalbiblioteket). Mo Church is 0.7 mi (1.2 km) away. Mo i Rana Station is 13 minutes by foot.